Here are some of our army buddies from Schofield Army Barracks. 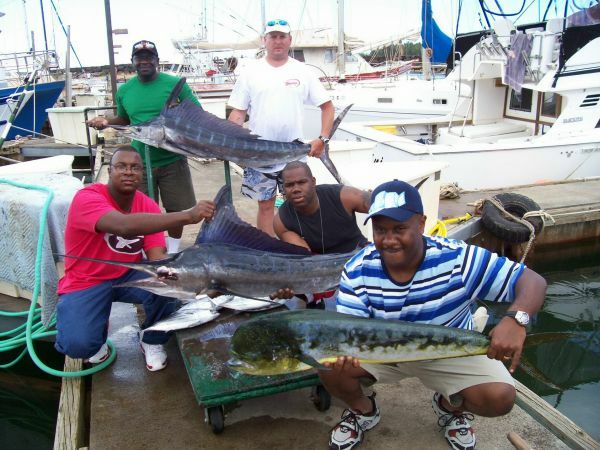 Titus, Chuck, Dean, Frederick, and Julius holding up two stripe marlin and a nice Mahi Mahi along with some skipjack tuna. Great job guys, enjoy the fish.